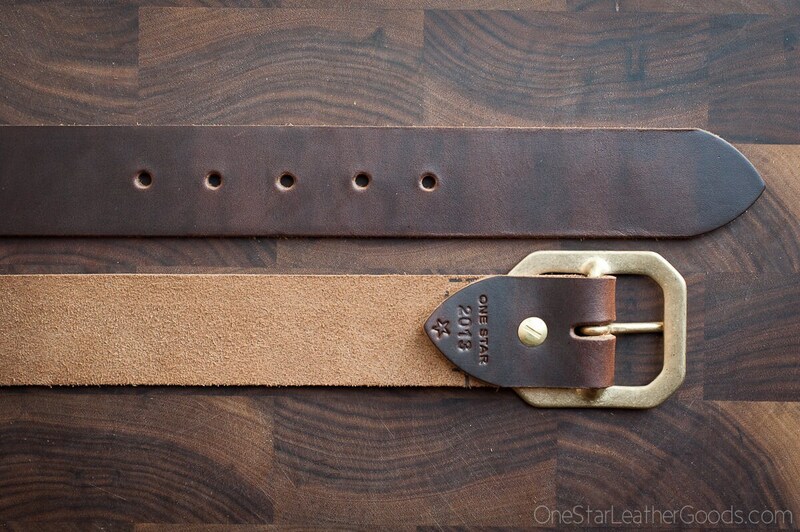 A sturdy, beautiful belt made with Horween leather that will last for years. A simple flat cut strap of superior quality leather. Finished with a sturdy buckle and chicago screw. Chicago screws are removable, so if you later find an awesome belt buckle at a thrift store or in your uncle's attic that you want to use with your nicely-aged belt strap, you can change the buckle yourself easily with a flathead screwdriver. The leather is incredible - Chromexcel from the legendary Horween Tannery in Chicago. This leather is soft and supple and will stretch about 1" as you break it in (I work that into the sizing, see below). 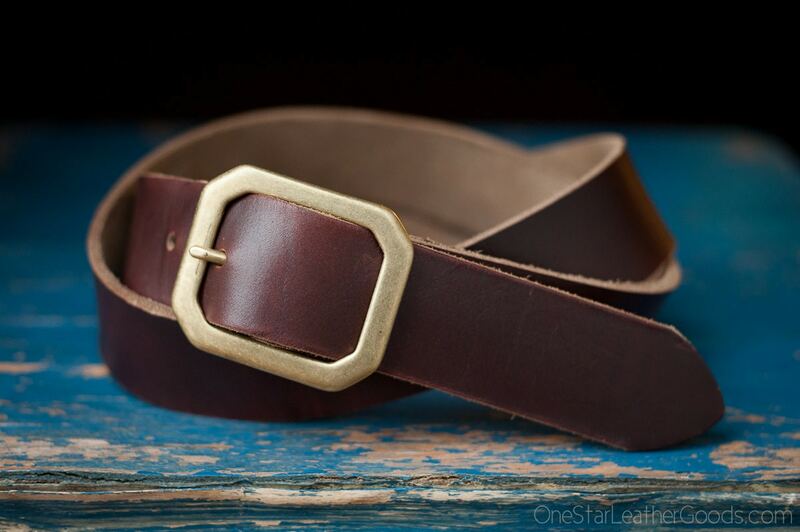 The edges are not beveled, but will develop a nicely rounded shape as the belt wears in. I custom fit these belts to my customers. The measurement I need is NOT your pant size. The best way to determine your belt size is by measuring a current belt that fits you well. 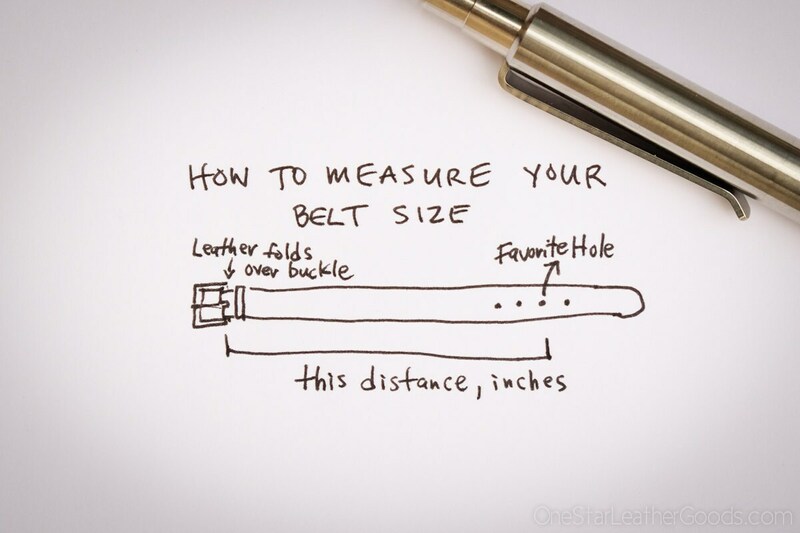 Measure the distance from the hole you use most all the way to the other end of the belt to where the leather folds over the buckle. Your belt size is typically a few inches larger than your pant size. I will use your measurement as one hole tighter than the middle hole of a run of 5 holes (1 inch apart) - to account for about 1" of stretch in the belt as it breaks in. Remember to double check your belt measurement. 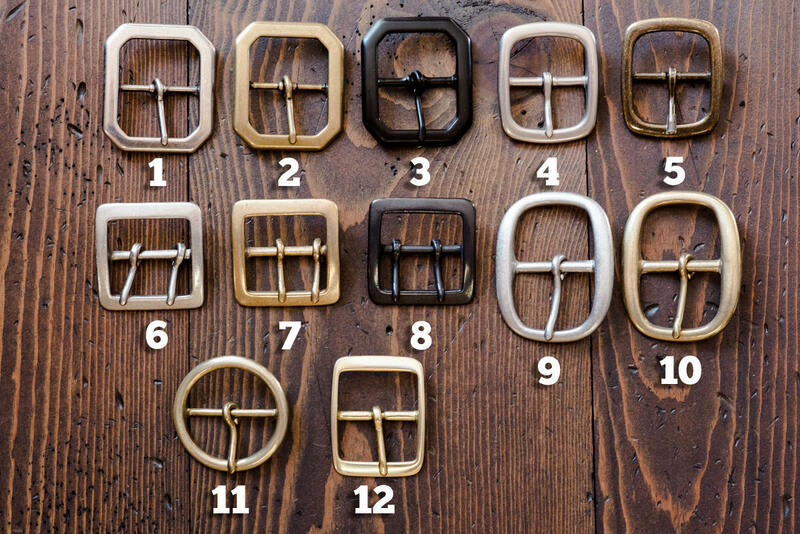 You may order extra or alternate buckles by adding the following listing to your order and describing the extra buckle(s) of your choice in the notes section of your order. Be sure to add two to your order if you want two buckles, etc. https://www.etsy.com/listing/187385488. 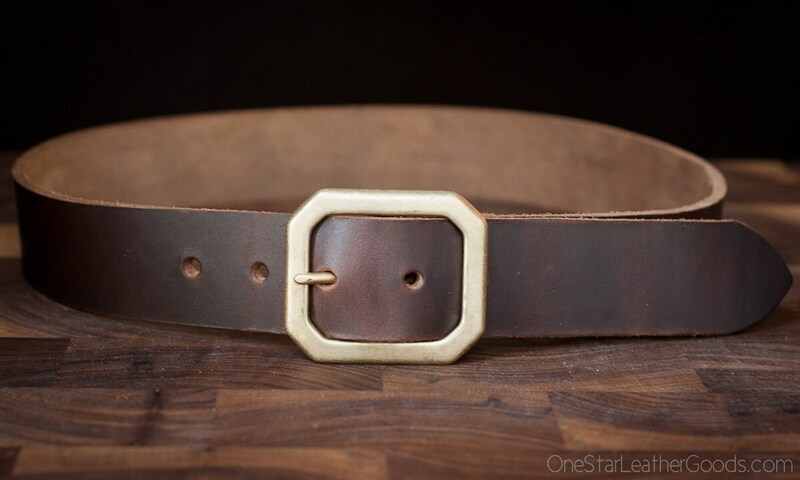 Great quality belt, color is nice dark brown and the thick leather makes this a lasting item in my closet. Great belt! Just what I was looking for. Nicest belt I have ever owned. Perfectly matched the boots I bought it for. Shipped as promised. Well done! Excellent quality leather. Extremely thick.